When physical therapy or other conservative treatment fails, Dr. Howard Marans offers top orthopedic surgery to correct the problem. 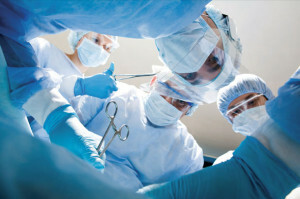 Treatment of severe injuries or other physical conditions can involve a wide range of surgery techniques. Whether it’s your arm, foot/ankle, hand/wrist, knee, shoulder – tendon damage or fracture – the Doctor will take care of you in a professional and timely manner. If you have injured your knee – sporting or working – you must receive immediate and proper treatment by a premier knee orthopedic surgeon. A leader in his profession, Dr. Howard Marans – founder of OC Orthopedic+ located in Santa Ana, CA, is ready to help you. 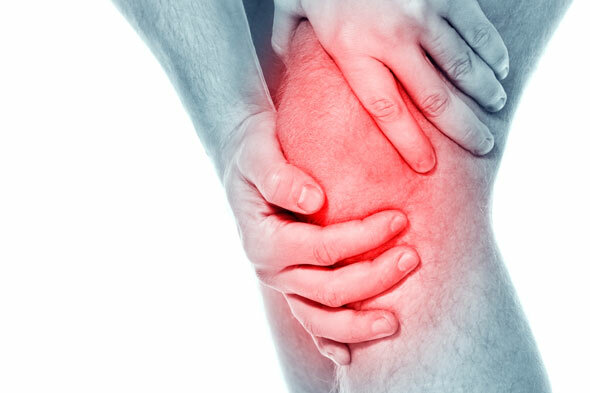 If left untreated, scar tissue developed in healing process can develop and lead to chronic conditions in the knee. These chronic conditions to the knee caused by scar tissue will be more difficult to correct. Injuries to the rotator cuff may occur for several reasons. It may be injured from a sudden fall or while attempting to lift a heavy object. Rotator cuff tears are common among athletes, such as baseball pitchers or tennis players who need to continuously raise their arms during play. Shoulders also become more prone to this type of injury as your shoulder muscles and tendons begin to deteriorate as you age. The arm bone is held into the shoulder socket by four muscles that join as tendons to cover the head of the humerus to form the rotator cuff. The rotator cuff assists with lifting and rotating the arm. Located in the area between the rotator cuff and the acromion (top shoulder bone) is the bursa. The bursa is responsible for providing lubrication to this area so that the tendons of the rotator cuff can glide freely while moving your arm. When diagnosing a rotator cuff tear, Dr. Marans will press on different areas on your shoulder and move your arm into various positions. Pain or limited range of motion may indicate a torn rotator cuff. The Doctor will test the strength of your shoulder muscles or arms by asking you to push up or down against his hand. Diagnostic tests, such as X-rays or an MRI may be ordered to determine if a rotator cuff tear has occurred. While an X-ray cannot show a tear in the rotator cuff, it can show bone spurs, which can be a sign of a rotator cuff problem. 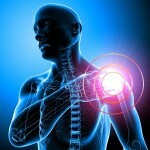 It may also show other problems, including osteoarthritis that could be causing pain in the shoulder. A MRI is the best option for viewing a tear and to determine its severity. For complete tears in the rotator cuff, surgery may be indicated. Rotator cuff tears can often be repaired with arthroscopic surgery. Arthroscopic surgery has a shorter recovery time with less scarring. Using small incisions, Dr. Marans can make repairs to a rotator cuff tear by reattaching the tendon to the bone and removing bone spurs if needed. For severe tears, open surgery may be required to replace a tendon or in extreme cases, to perform shoulder replacement surgery. For over 20 years, Dr.Howard Marans has been the leading orthopedic surgeon for treating rotator cuff tears in the Orange County area. Do not delay treatment for your shoulder injury. Call us at 714.979.8981 or click below to schedule your appointment today. A top orthopedic surgeon will accurately diagnose your symptoms and provide you with the proper treatment. Specialized treatment will provide you with the best results regarding all musculoskeletal system illnesses. Top orthopedic surgeons will be able to provide you with the guidance you need in choosing from a variety of surgery options. Getting medical attention from an orthopedic surgeon will aid in relieving pain from a variety of injuries and medical conditions. Dr. Howard Marans of OC Orthopedic+ is one of the best surgeons in the area for many reasons. Dr. Marans has a consistent twenty year practice in the same location. 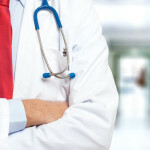 The Doctor’s reputation speaks volumes as a professional and a member of the community. 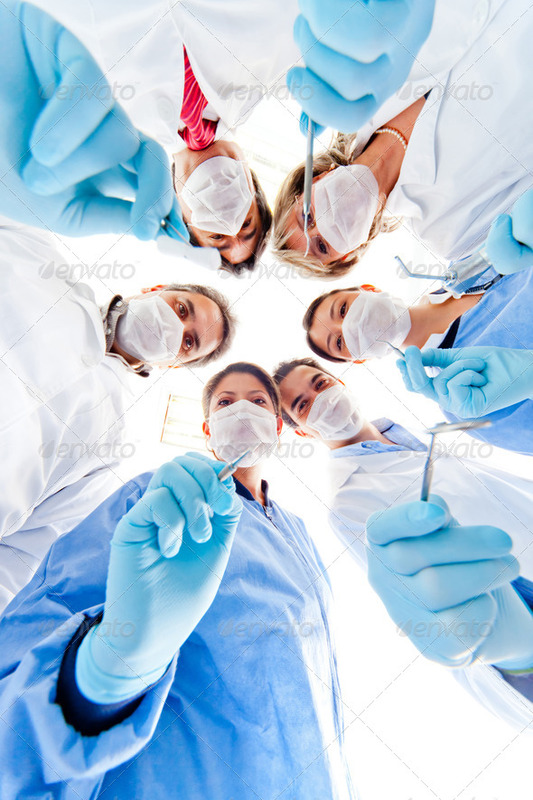 The reasons for his top rated reviews go beyond his credentials as a surgeon. Dr. Howard Marans strives to help every patient regain their strength after arthroscopic surgery. He is prepared to help you return to a healthy regime with his successful treatment plans. The Doctor will help inform and reassure you about the choices you make regarding your health. OC Orthopedic+ is comprised of a supportive and kind staff helping patients feel less overwhelmed by their condition and treatment needs. Patients at OC Orthopedic+ are always seen within a reasonable amount of time to properly deal with traumatic injuries quickly. 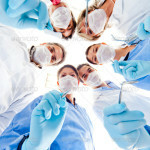 Every patient’s time is valued during appointments. With over two decades of experience in orthopedic surgery, Dr. Howard Marans is renowned as a highly skilled surgeon practicing in the Tustin area. The Doctor’s approach to treatment of any condition or injury focuses on catering to the personal needs of each individual patient to ensure a lasting recovery. Dr. Howard Marans is highly qualified to address every patient’s treatment needs. To schedule your consultation with a top orthopedic surgeon, click the icon below and enter your information online – or – call 714.979.8981. 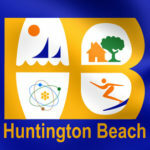 Where is the Best Orthopedic Surgeon in Huntington Beach? An orthopedic surgeon is a medical doctor specializing in treating injuries and diseases effecting the musculoskeletal system. The musculoskeletal system includes your bones, muscles, ligaments, tendons, joints, and nerves. Injuries treated by an orthopedic surgeon do not always require surgery. Whenever possible, a conservative, non-surgical treatment approach is taken to heal or correct the injury or problem. However, when surgery is recommended, the best orthopedic surgeon will recommend options based on our particular surgery and rehabilitation needs. An orthopedic surgeon can treat a wide range of injuries. From a simple sprained ankle to a complex joint replacement surgery. When non-surgical treatments no longer provide relief, your orthopedic surgeon might recommend surgery to relieve your pain and restore proper function to the injured area. For an injury such as a torn ligament, torn meniscus or torn rotator cuff, your surgeon may be able to perform arthroscopy to make needed repairs. Arthroscopy is a minimally invasive surgical technique that requires one or more small incisions. The surgeon will insert a tiny camera to view the injured area and make the repairs through the incisions. This type of surgery is often performed on an outpatient basis and provides a quicker recovery. Some surgeries, including joint replacements or complex bone fractures, require traditional open surgeries. In the event a broken bone requires stabilization, an open reduction/internal fixation surgery might be performed. When searching for the best orthopedic surgeon in Huntington Beach, Dr. Howard Marans is the choice to make. 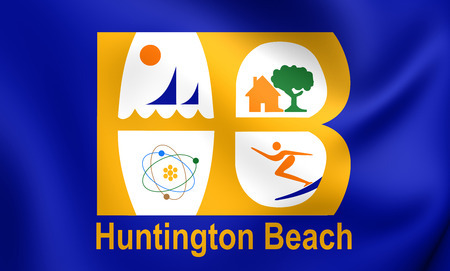 The Doctor has over two decades of experience treating orthopedic injuries and performing surgeries for patients in the Huntington Beach area. Please click below to schedule your consultation – or – call 714.979.8981. Orthopedics is specialized area of medicine treating injuries and conditions of the musculoskeletal system. At one time, orthopedic surgeons focused mainly on caring for children suffering from spine and limb deformities, such as clubfoot or scoliosis. Today, the field of orthopedics focuses on patients of all ages from newborns to the elderly. 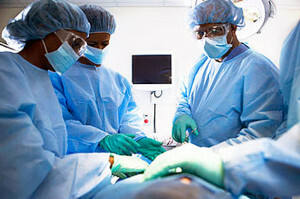 If conservative treatments are not likely to fix your orthopedic problem, your orthopedic surgeon may recommend surgery. Arthroscopy is a minimally invasive surgery technique where one or more small incisions are made to accommodate a small camera and surgical tools to repair injuries. Open reduction or internal fixation surgery is recommended for bone fractures requiring stabilization using implants including plates, screws, rods, or pins. Dr. Howard Marans is a highly skilled orthopedic surgeon who has served patients in the Tustin, California area for over 20 years. OCOrthopedic+ accepts most insurance plans and Dr. Marans’ new patients are often seen on the day they call. To schedule your consultation with Dr. Howard Marans, please click the icon below and enter your information online – or – call 714.979.8981. When unexpected injuries and accidents happen in life, you never know when you or someone in your family may need to be treated by an orthopedic surgeon. Dr. Howard Marans of OCOrthopedic+ serves patients in over 20+ cities throughout Southern California – including Huntington Beach. When there is an injury or a condition interfering with the musculoskeletal system’s inner workings, it can be difficult to function normally. Many injuries and conditions can be treated with a conservative, non-surgical approach. However, when surgery is needed, Dr. Marans can provide you with the best surgical options, including arthroscopy surgery and open reduction – internal fixation surgery. An orthopedic surgeon is better qualified to diagnose and treat injuries and conditions that affect your musculoskeletal system. They have received extensive training and have usually completed up to 14 years of post-secondary education to become an orthopedic surgeon. Dr. Howard Marans of OCOrthopedic+ serves more than 20 cities throughout Southern California. OCOrthopedic+ is centrally located in Orange County at11190 Warner Avenue #306 in Fountain Valley. Where is the Best Orthopedic Surgeon Located in Tustin California? Whether you have suffered a sudden injury from a sports-related activity or a car accident, you should seek immediately seek treatment from an the best and most experienced orthopedic surgeon serving the Tustin, California area. You deserve to have the best orthopedic surgeon. In the Tustin area, you do not need to look any further than Dr. Howard Marans at OCOrthopedic+. The Doctor has over 20 years of experience specializing in orthopedic and sports medicine in the same Fountain Valley, California location. Dr. Marans is a graduate of the University of Toronto’s Medical School and has continued his education through orthopedic fellowships and board certifications. When you call OCOrthopedic+ schedule your appointment, you will the Doctor will see you on the same day you are injured to quickly diagnose the injury and implement an effective treatment plan to prevent complications. Prompt treatment is important to facilitate proper healing and prevent further injury. The best orthopedic surgeon serving Tustin, California is Dr. Howard Marans at OCOrthopedic+, located at 11190 Warner Avenue, Suite 306, in Fountain Valley. Please click below to schedule your consultation online – or – call 714.979.8981.